Ed Dalby conceived the idea of using the stream on his property, in Union, Washington, to generate electricity. With the help of his father they built the first waterwheel and thus, the first hydroelectric plant in the region. 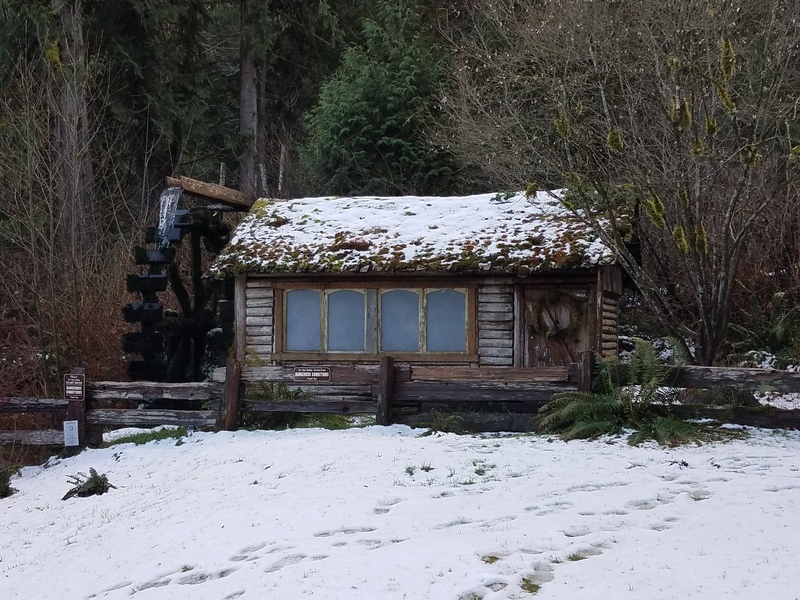 The water wheel served the needs of the Dalby family for many years, until the advent of more modern conveniences. When the "Navy Yard" highway (which later became State Route 106) was constructed in 1928, it replaced the one lane dirt road that ran in front of the Dalby home. During the construction of the new paved highway, workers from the road crew knocked at Mrs. Dalby's kitchen (back) door and asked her if she wished the highway to go in front of (to the north) or in back of (to the south) her home, and her reply was, "Oh, put it out in back". With the completion of the new roadway, the Dalby waterwheel was put on view to all who passed by it, and it became a favorite photo stop for people from all over the world in the years that followed.